Not able to add tst file. I am new to SoaTest and i am unable to get the option "Test(.tst) file" in Add New tab when right click on any Project. Also when trying to add test file via FIle>New>Test(.tst) File, it opens new window where we give file name. But Next button remains disable after giving the filename. How can i resolve this??? are you in SOAtest perspective? Could you open Test Case Explorer and then do a right click on Project and then select Add New >Test (.tst) File? 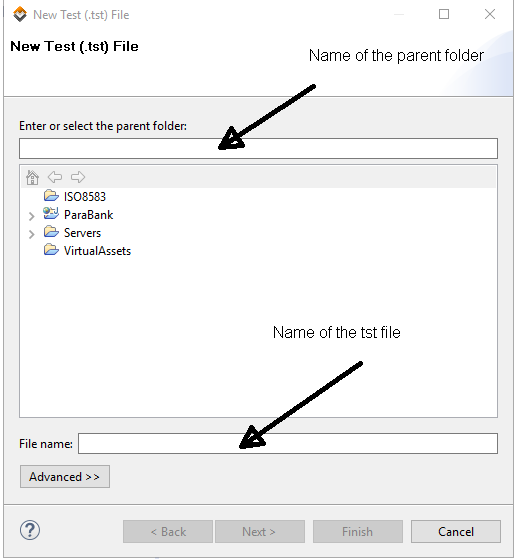 When you are creating tst using File>New>Test(.tst) File you have to first select a project. 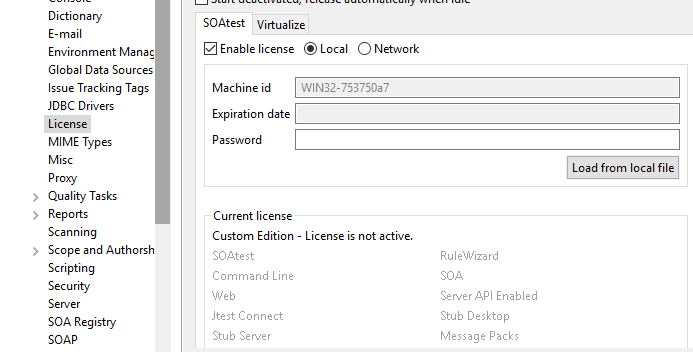 You can check it here Parasoft>Preferences>License and you have to provide license string or connect with license server. Yes, I am gettinga same error message. How to resolve this lincense issue??? From where will I get password (or from where should i load the local file ) to set the license???? do you have a service contract number? If yes, please contact Parasoft sales representative or send such request to Parasoft Support team ( [email protected] ). Were you able to fix this license issue? i am so new SOA test and having the same issue. Hi Jay, it sounds like you don't have your license configured properly. The quickest way to resolve this problem would be to contact the Parasoft support team or your Parasoft sales representative.